If you are considering creating a food ordering app then this list of 5 best food delivery apps of 2018 & 2019 will inspire and guide you to bring your dream startup into reality. E-commerce has special requirements when it comes to showing products for sale online. A uniform look and feel to the products, showing the product rather than background, product alignment, image margins and special requirements per product category characterize e-commerce. We have top class designers who is expert on graphics design. We provide clipping path. background remove, image retouching service. We are also expert on eCommerce photo editing. brilliant -- can "soul service" be one of the 1900 learning outcomes? Encourage students to apply their expertise to serve their community. Partner with nonprofit organizations to create opportunities for students to apply their research or marketing skills. Service-learning approaches - real-life application of skills gained in class to make society better. Now an impoverished Marxist cultural critique suggests that such encounters between people, qua humans with richly diverse lives, are the very opposite of — or further, directly opposed by — the alienated encounters underwritten, if not compelled, by money. You see this kind of argument when people say “the ‘sharing economy’ is an oxymoron that has nothing to do with sharing because people are lending their underutilized resources for financial recompense.” However, what has always seemed to me most interesting about many ‘sharing economy’ platforms is not that they are spaces outside of commercialism, but rather ways of affording a re-embedding of economic exchanges in social relations within commercialism. When I ride-share or home-share, there might be money changing hands, but the actual experience of the ‘service’ is of two people (when there are face-to-face encounters) who cannot entirely withdraw into prescribed roles of employee and customer. This is why these ‘sharing economy’ experiences tend to be awkward, in ways that I have tried to argue are in fact deconstructive of the monolithically abstract idea of capitalism.These moments underline that there can be ‘sharing’ within economies, that relations between strangers do occur at levels or in ways beyond what is covered by their monetization. Service designing, it seems to me, is precisely the pursuit of these forms of sociality that exceed commercialism even within commercial interactions. This is the quality that a well-designed service encounter will manifest, a quality that will differentiate such a service from other less-designed ways of managing or engineering services.Service designers should therefore be expertly sensitive to these emergent and sometimes even resistant socialities. Designers should understand that at the very core of their practice is all that is concealed by excessively capitalistic perspectives: the hidden labor of informal economies; the emotional and aesthetic labor provision that service interactions compel from providers without adequate recompense; the satisfiers that make care work rewarding beyond their inequitable pay scales; the moments of delight involved in the comfort of strangers. All of these, it should be clear, are political, sensitivities that acknowledge oppression and exploitation via gender, race and class.All this is why service design is never just the design of this or that service, but part of the wider project of redesigning work and generating sustainable livelihoods. For instance, service design is not tangential to current debates about the roboticization of jobs. Service design is unavoidably involved in Transition Design, toward or away from meaningful work, or rather perhaps toward or away from quality ways of organizing the resourcing of new kinds of society. The concept goes beyond the relationship between citizens and public service providers and provides the tools that encourage citizens to be more active and more participatory in community life. For example, provide feedback on road condition, adopt a healthier lifestyle, or participate as volunteers in various social activities. In this way, a Smart City ("A Smart City") will be a more attractive place to live, work and recreate, the Pilot Project Guide says. Интересно, как узнать список этих туристических агенств? Host, run, and code Python in the cloud! Docker eventually sold out to (I believe) Bell and the professors did just fine. Bill Fitzgerald provides some useful tips recently in a webinar in regards to Terms of Service. He suggested searching for the following words associated with consent forms: third party, affiliations, change, update and modify. Where do you rank on Google, Yahoo!, and Bing? If you’re buried behind your competition in the search engine results you could be losing revenue. The oil discovered in the Prudhoe Bay oil field in the North Slope region of Alaska in 1968 was the “largest oil field discovered in North America.” In 1969, a Trans-Alaska pipeline to transport oil from the North Slope was proposed by the Trans-Alaska Pipeline System. The Trans-Alaska Pipeline System was comprised of three major oil corporations. Despite many other ideas and suggestions to transport this oil, the oil industry reached a consensus in favor of the pipeline proposal of the Trans-Alaska Pipeline System (Busenberg, 2013). 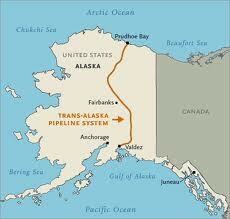 Construction of the Alyeska oil pipeline, also known as the Alaska pipeline or trans-Alaska pipeline, began in 1975. This pipeline was built by the Alyeska Pipeline Service Company, a group that was made up of seven different oil companies. In certain regions, the pipeline is buried underground, but where there is permafrost, the pipeline is constructed above the ground. The pipeline crosses over 800 river and streams and passes through three mountain ranges. 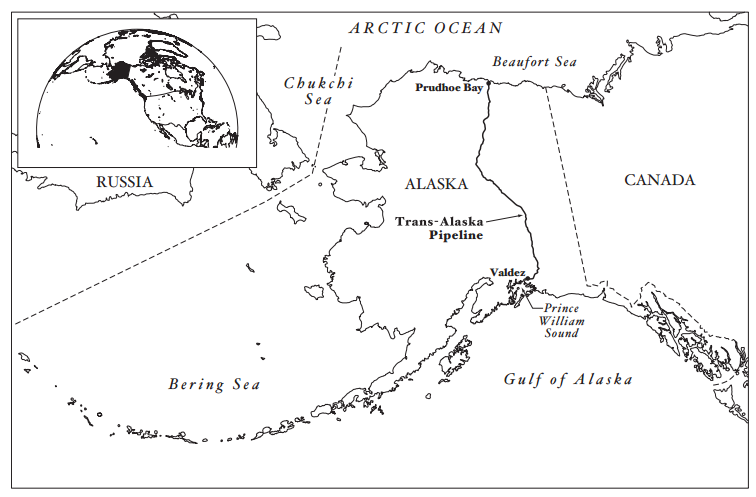 The first oil was delivered from Prudhoe Bay to Valdez on June 20, 1977. This oil had to travel through the 789 mile long pipeline to reach its destination (Alaska Public Lands Information Centers, n.d.). See below for a link to “Pipeline! The story of the building of the trans-Alaska pipeline” video posted on YouTube by the Alaska National Parks service. Busenberg, G. J. (2013). 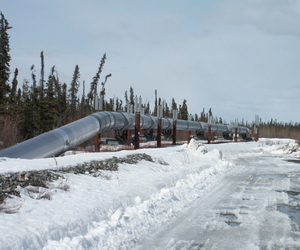 The Trans-Alaska Pipeline System. In G. J. Busenburg, Oil and Wilderness in Alaska (pp. 11-43). Georgetown University Press. "Trans-Alaska Pipeline History." American Oil & Gas Historical Society. June 21, 2016. Accessed May 05, 2017. http://aoghs.org/transportation/trans-alaska-pipeline/. "The Trans-Alaska Pipeline." The Trans-Alaska Pipeline. Accessed May 05, 2017. https://www.alaskacenters.gov/the-alyeska-pipeline.cfm. Journal d'annonces légales depuis 17 ans, publier une annonce légale avec L'Itinérant c'est bénéficier de l'expérience d'un service de publications légales fiable, reconnu et assurant une publication pas cher ! Découvrez les infos et renseignements pratiques sur le journal et son service en ligne pour faire paraître une annonce légale. Clipping Path India - the offshore photo editing service provider. Here, incubation becomes a method to develop a mindset for engaging with the world. Open pedagogy? No. Public Pedagogy maybe. Is public pedagogy a thing? Grosser isn’t a coder, but in this case, the actual coding wasn’t the primary obstacle: It was getting the bureaucratic green light that—legally, security-wise, privacy-wise—each manual mark an officer makes in a file that’s at least 17 pages long could have a digital equivalent. Friendster, in particular, was designed as a matchmaking service. I'm not sure exactly where this would fit in, but some way to reporting total service hours (per week or other time period) would be useful, esp as we start gauging traffic, volume, usage against number of service hours. In our reporting for the Univ of California, we have to report on services hours for all public service points. Likewise, it may be helpful to have a standard way to report staffing levels re: coverage of public service points? or in department? or who work on public services? Just spoke to a special collections person who has the same hours as us but more than one desk - so # of service points may also be important to capture. Le matériel du CCDMD est au coeur du programme de TEE au cégep de Granby et dans tout le réseau collégial du Québec.